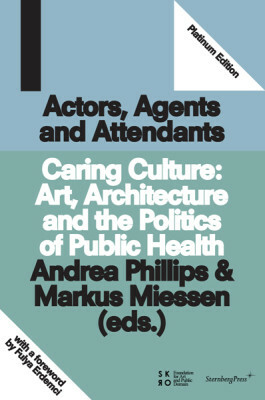 Caring Culture: Art, Architecture and the Politics of Public Health examines changing political uses of the concept of care in neoliberal democracies and asks how artists, architects, and designers both contribute to and attempt to critique its social manifestations. The publication brings together case studies of artistic and design interventions within health and social care institutions and broader political and philosophical essays and interviews relating to civic wellbeing. Contributors include curators, artists, politicians, architects, and healthcare professionals. Caring Culture is the first volume in the Actors, Agents and Attendants series of publications and symposia commissioned by SKOR to investigate the role of cultural practice in the organization of the public domain.